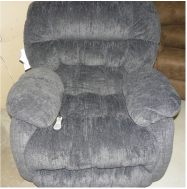 This is a rocking recliner in a soft fabric. 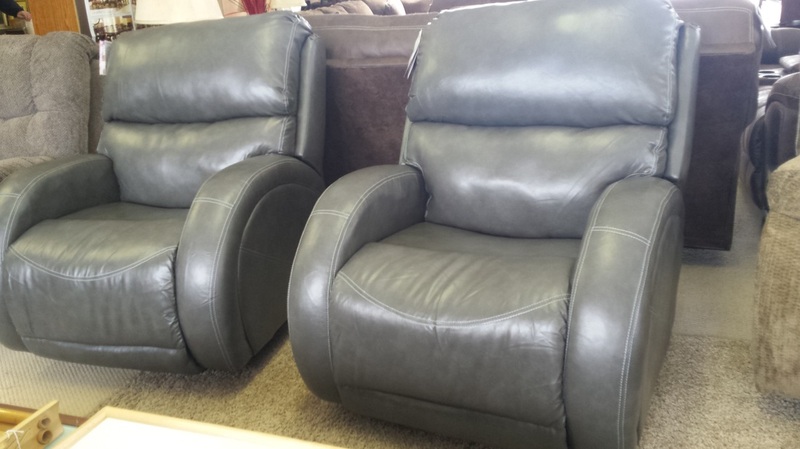 Most recliners by American Furniture can have the Power recline, heat and massage option added. Aynsley Navy, by American Furniture, Pictured above. 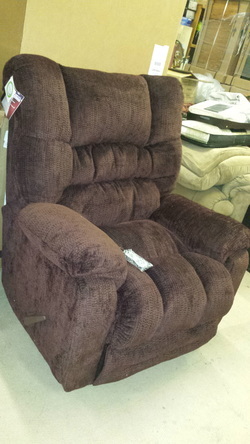 This recliner is made for the bigger person, with a length of 41 in. Depth of 39 in. and a Height of 50 In. 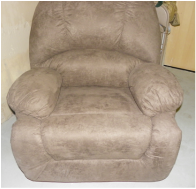 This style comes in 3 different colors and has the option of recliner, power recliner, with heat and massage or all options. Pictured below, Gazette Basil, Need a little more room, this style measures in Length 44 in. Depth 44 in. and a height of 49 in. Has options of 5 different colors including 2 of them Camo style, and of course has the power and heat and massage option available. American Furniture. Temptation Merlot. With American Furniture most of their recliners have the option to add heat and massage, power recline, or both options to their recliners. Como Gray recliners. American Furniture has many different styles and materials that their sets come in. This recliner has the massage and heat option already added to it. American Furniture is American made, with options for heat, massage, and power recline.